Crack (adj) very good or skilful. Crack (verb) find a solution to something; decipher or interpret. Cardinal rule (noun) a fundamental rule, upon which other matters hinge. Stickler (noun) a person who insists on a certain quality or type of behaviour. Utilizing (verb) make practical and effective use of something. Writing a cover letter is the chore that nobody likes to do. But, like all chores, they have to be done. Cover letters are the perfect way of pulling away from the formality of the CV and adding your voice. It’s the opportunity to really tell your future employer why you’re the best person for this job. It’s a chore that we should view differently – one that is an opportunity to simply talk about ourselves. I remember my high-school English teacher giving me the best piece of advice when it came to applying for jobs. One morning he yelled at the class, “Never say ‘I am writing to…’ they know you’re writing so you don’t need to tell them! This is a cardinal rule!” It makes perfect sense. Don’t waste time just jump straight in. My personal way into the cover letter is to explain how excited I am for this job. This simple sentence not only expresses interest in the job, and avoids breaking the cardinal rule, but it goes straight into the ‘meat’ of what you’re saying. You want to mention why you’re applying to this company and what is it about the job that excites you. Remember that employers read hundreds of cover letters and you want yours to jump out. They don’t want to read the same boring sentences over and over, they don’t want you to go on for pages and pages, they want direct language. To conclude, here’s my cardinal rule: your opening paragraph (only a few sentences long) should explain why you’re writing to them without saying that you’re writing. The body of your cover letter is your chance to discuss your experience in detail. 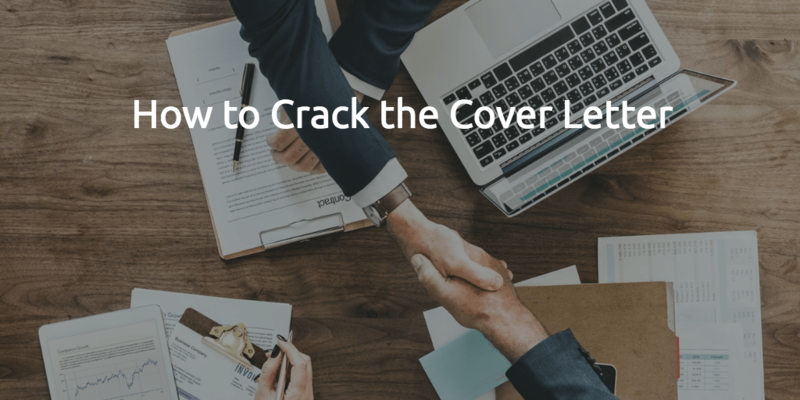 Your CV has already informed the potential employer of your basic details, the cover letter is your chance to connect your experience with the job you’re applying for. So you need to look at their job description and understand what your duties will be in the job to come. That way you can connect what they want with what you’ve done. The best way to do this is with a mind-map. Write it all down, connect with arrows, make a mess of the page if you need to, then transfer those notes into your neat cover letter. Remember: the body is about showing you can do the job you’re applying for based on the work experience you have. So read the job description thoroughly and let them know that you can do the job by tying your experience in with the requirements listed in the job description. Your last paragraph needs to be memorable. Your future employer needs to remember you. So you need to explain why you’re amazing, what it is about you that makes you think you can do a great job. This is the paragraph where you mention any other details that are relevant for the job. If there is a branch in France and you speak French, that’s something worth mentioning. If there’s an editorial aspect to the job and you’ve edited in the past, tell them. Think of it this way: most employers don’t finish cover letters. But yours has. You’ve gotten them to this point, you need to end with a big bang. A reason for them to remember you. So you’ve told them why you want to apply. You’ve told them your experience and related it to the job description. You’ve told them why you’ll be awesome. So the next step is simple – you write those great words ‘Kind regards’ and you may want to mention, ‘I’m looking forward to hearing from you’. Then sit back, relax and wait for those job offers to start rolling in. This blog was written by Intrepid English teacher, Tom. Find out more about Tom on his Intrepid English Teacher profile page. If you have any questions, or you would like to request a topic for a future blog, you can contact us here or email us at Intrepid English. Book a free trial lesson today and talk about your learning goals with an experienced native English teacher. Say goodbye to boring English lessons; discuss incredible TED Talks, study market-leading textbooks, learn all about Britain, prepare for globally recognised exams, explore your favourite English books or improve your conversational English by talking about any topic that you find interesting. If you're not sure what you want to learn, let your teacher choose from the huge range of English courses that have been designed to help our students to achieve their goals. Get up to 10% discount on lesson bundles, and even win a free English lesson when you refer your friends to Intrepid English.